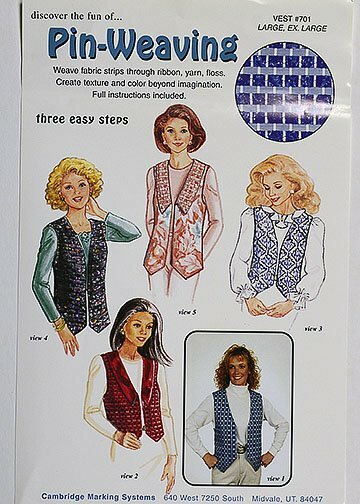 A grid enables you to pin-weave any commercial pattern of your choice. 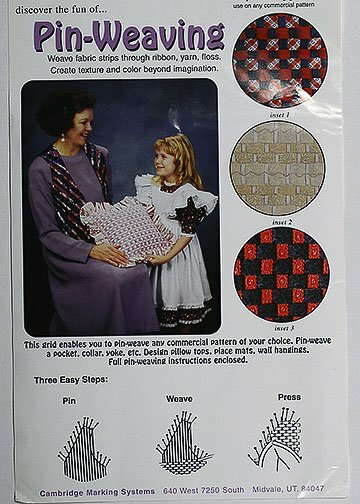 Pin-Weaving grid along with complete instructions. Pin-Weaving Shuttle used to weave the material for pin-weaving.